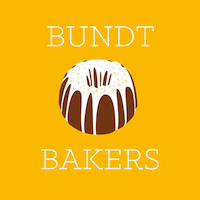 Our theme this month for Bundt Bakers was Any combination of fruit and nuts, but at least one of each! Our host, SimplyVeggies, created this fun, challenging theme for us! My inspiration for this theme came from my daughter, who loves Banana Boats. 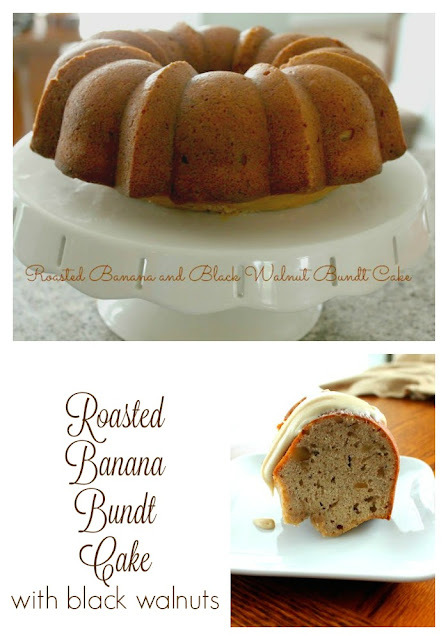 We made them on vacation and I loved the banana taste and texture after roasting in the oven. I also always like to look for ways to cut down on oil and fat in my cakes, so I worked hard to incorporate healthy fats into the batter and I think I have a winner! Heat oven to 425. Roast bananas (unpeeled) for 20 minutes. Set aside to cool. Reduce oven temp to 350. Add in eggs, one at a time, and beat thoroughly after each egg. Add in oil and vanilla. Whisk together flour, baking powder, cinnamon and salt. Add flour mixture a cup at a time to sugar mixture, beat until incorporated before adding more. Add banana and beat thoroughly. 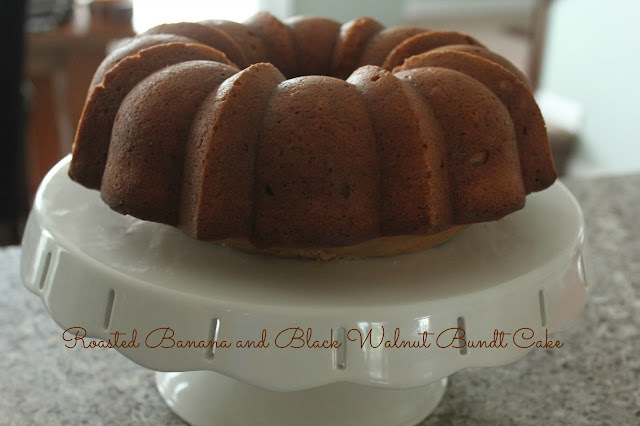 Pour into a prepared bundt pan. (I like coconut oil for this cake) Bake at 350 for 40 minutes. Check doneness by inserting a toothpick. Check for cake batter, if it is still wet, continue to bake in 3 minute increments. Remove cake from oven and allow to cool 5 minutes. Remove from pan and finishing cooling. Serve with a sprinkling of powdered sugar. Tour The World Blog Hop-Food!